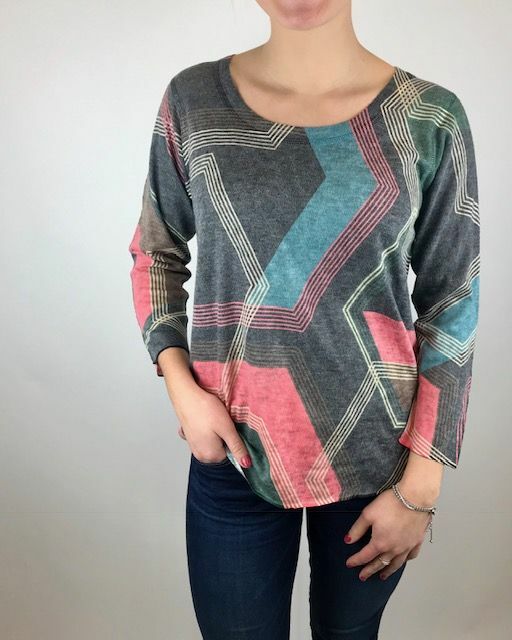 A more traditional fit 3/4 sleeve top with a fun geometric pattern. 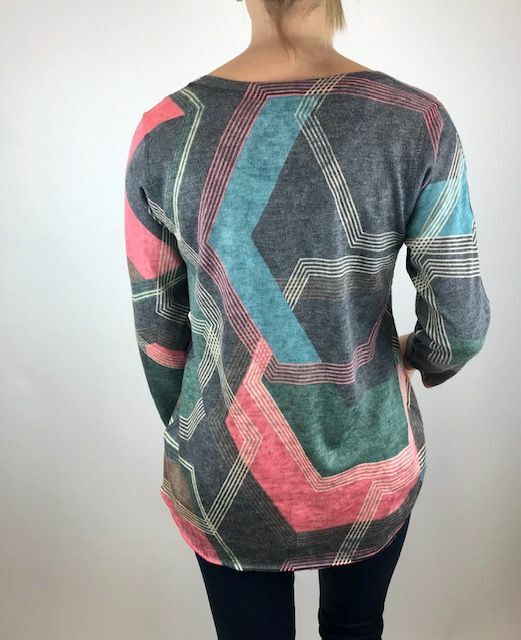 This pattern has coral, turquoise, olive, light yellow and charcoal. Add denim to this fun piece to complete the look.